Wallace Paul Broussard, native and resident of Maurice, Louisiana, was born in 1924 the fourth of ten children in a meager household, to Jean Camille Broussard and Ada Hebert Broussard. Jean Camille died not long after the birth of his tenth child, leaving Ada, Wallace and the older children to care for the younger children. Wallace is a proud seventh-generation descendent of Acadian hero Joseph Broussard dit Beausoleil. Broussard was involved in Boy Scouts of American was both a scout and scout leader. His greatest scout challenge was canoeing down the Vermilion River starting at the Pinhook Bridge in Lafayette, encountering a drenching raind during a very cold day, camping out in wet clothing and continuing the trip the next day until his troup reached their destination at the E. Broussard Bridge. Broussard’s high school basketball skills were legendary. As a point guard for Maurice High School, he was known around the state as an extremely talented and versatile player, especially for his size. He was asked to stay on an extra year of high school to play basketball. At age 18, World War II, Broussard first volunteered then was drafted during to serve in the Army Air Corps, along with four of his brothers. He was a gunner instructor for the B-17 bomber and was honorably discharged as a sergeant in 1946. In 1950, Wallace married the former Doris Comeaux of Maurice and has four children, Debbie (Choate), Kim, Cheryl (Perret) and Todd. Broussard retired as an educator in Vermilion Parish where he worked as a social studies teacher, basketball/track coach and assistant principal. His first teaching/coaching job was at E. Broussard High School and later at Indian Bayou High School. Although not a part of the standard curriculum, Broussard made sure to include lessons about Acadian history in the classes. The citizens of E. Broussard would tell Wallace that he “put the town on the map” because of the record in the number of his victories as their basketball coach. Broussard helped to set up the structure to create the Maurice Volunteer Fire Department. He challenged the practice of appointed mayors in Maurice, by challenging an incumbent. Although unsuccessful, Broussard helped set the standard for mayoral elections in the village. One of Broussard’s favorite political affiliations was serving as campaign co-chair for state legislator Cecil Picard, who later became senator and head of the state education department. Broussard has a love for world, state and local history. His favorite pastime is collecting late 19th century, early 20th century antique tools. He enjoys researching his Acadian ancestry and sharing the love of his Acadian culture with his extended family, his friends and his students. His visit to Canada’s Old Acadie in 1984 with his wife and cousins was a trip of a lifetime. Also, he helped to sponsor the Beausoleil figure on the mural at the Acadian Memorial in St. Martinville. Today, he is a lifetime member of the Famille Beausoleil association and as one of the oldest living men in Maurice today, age 90, Broussard is still respected and sought after for his wealth of knowledge about the history of Maurice. He has contributed to several cultural and historical publications, including an article in Reader’s Digest entitled, “I’m Proud of My Town”. Broussard has served at St Alphonsus Roman Catholic church since childhood. He was an altar server for many years, was elected to the first parish church council and for decades served as usher. 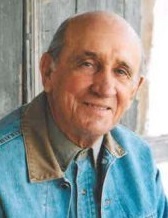 Carrying on the traditions of the Acadians, Broussard takes pride in the family unity that he and his nine siblings have shared to this day, the leadership of his community, the faith in God – that he has passed on to his children – and in the Acadian culture and history that he so often shared with so many.